There is a temptation at our youth groups just to “do life”. 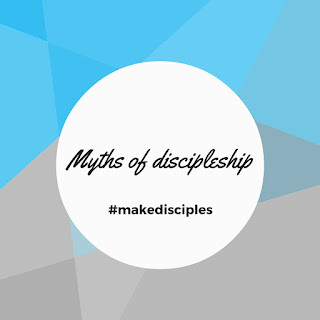 And doing life does make disciples, when we share the gospel. We can think that discipleship will rub off. It will happen almost accidentally. That if a person can stay in our programs long enough God will save them. For many of us we still pray that God would change people, we just secretly hope he doesn’t use us. One of the deficiency’s in this model is that our non-Christian youth think that being a Christian is about being a good person. We need to tell them the reason we are living the way we are. It’s the response to a right relationship with Jesus. Not the way to try and earn a right relationship with Jesus.